20th Annual Texas Night Series B’S Moto Lab Support! 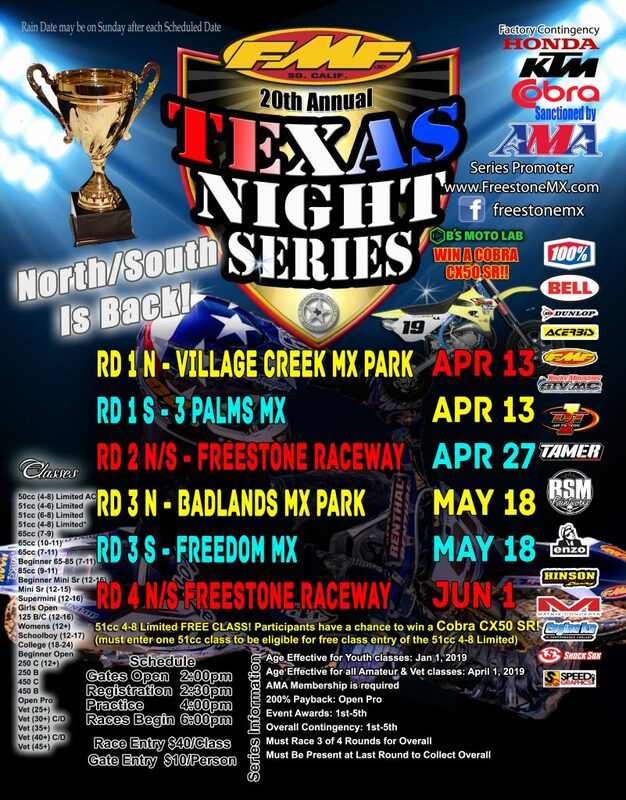 The 20th Annual FMF Texas Night Series kicks off April 6th at Freestone Raceway. This year we are bringing back the North and South Series with round 1 and 4 being a double header. Round 2, and 3 of the South will go to 3 Palms MX and Freedom Mx. 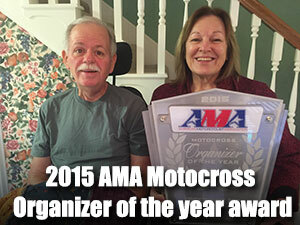 Round 2, and 3 of the North will go to Village Creek MX Park and Badlands MX Park. By popular demand the 51cc 4-8 Limited AC class is added back to the series. The 51cc classes are eligible to win a Cobra CX50 SR motorcycle by racing the 51cc 4-8 class. 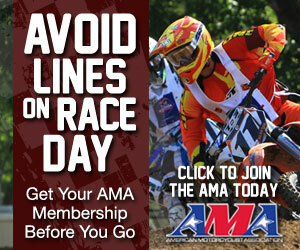 Racers that enter either the 51cc 4-8 AC, 51cc 4-6, or 51cc 6-8 get to enter the 51cc 4-8 class for FREE! Those entries only will be entered in the random drawing that will take place at the final round June 1st at Freestone Raceway. B’S Moto Lab is on board for the Cobra CX50 SR bike and will be doing the suspension for the rider that wins the bike at no charge! We are excited for this opportunity to give away a bike to one lucky racer!